Today we talk magnets. In particular, a couple of different ways magnets were shown to participate in energy harvesting schemes at last November’s IDTechEx show in Santa Clara. Here’s the deal: put magnets on a fan and run a wire nearby. Now you’re getting current through the wire. Simple, eh? Well, let’s dig in a little more. First, you can’t get something for nothing, so where is this power coming from? This gets to a concept I mused on a few years ago. In short, I divided energy harvesting into two camps: energy scavenging, where you’re harvesting energy that would otherwise go to waste, and energy poaching, where you’re harvesting energy at the expense of something else. The reason poaching works is that, typically, the amount harvested is so small as not to be noticed. So this fan is an example of energy poaching. How? Because the magnets place an additional load on the fan motor, forcing it to work harder. And here’s how the numbers sort out: with a 24-W fan, they were able to harvest 13 mW while increasing the load on the motor such that it consumed an additional 28 mW. The 15-mW difference is harvesting loss. Now… I can hear the roar of protest already: “Wait, you’re spending an additional 24 W to harvest 13 mW? ?” And the answer is, “No.” The point is to do this where you already need a fan. So you’re not adding a fan; you’re replacing the fan you already have with this one, for a cost of 28 mW. Jennova isn’t offering this as a shrink-wrapped product; it’s a specific implementation of their more generic harvesting technology. The fan is but one way to generate the motion necessary for inducing current. They adapt the approach to a variety of specific applications, and the cost and yield are highly dependent on that application. So, for instance, they don’t publish general numbers on their website because those numbers would be meaningless across the entire applications space. The other harvesting approach isn’t quite so straightforward, and, in particular, it doesn’t leverage Mr. Faraday. Let’s set up the problem here. This was from a presentation by the University of Iowa’s Agriculture folks. Farms are ripe for technology so that, amongst other things, soil conditions can be monitored and inputs like fertilizer and water can be optimized. This means sensors in the dirt sending info on conditions in the immediate vicinity. They note that recommendations for nitrogen input are set for an entire state, while the actual nitrogen content of soil (measured as “soil organic matter,” or “SOM”) can vary widely from place to place within the state. The sensor then helps to decide whether additional inputs are necessary at a specific location. You might expect that such sensors would be sampling the soil outright, but, at present, this isn’t necessary. Instead, they send out a radio signal underground and measure the reflection. Analysis of the real and imaginary parts of the reflection tells them about the nitrate and moisture content. That means that none of the circuitry needs to be exposed to the harsh soil conditions; only the antenna is exposed. So, what’s the source of energy that they’re leveraging? It’s vibration; we’re working with a piezoelectric harvester. But… what’s the source of that vibration? After all, earthquakes don’t happen that often, and, in many large farming areas, they don’t happen at all. Well, believe it or not, the source is thunder. Seriously. (OK, and equipment also…) Thunder evidently has significant low-frequency tones (below 100 Hz) that create enough vibration to harvest. Most energy harvesters operate linearly, which means that they have a sharp resonance frequency, and operation on or about that frequency optimizes harvesting. By adding non-linearity, however, the sharp peak is broadened, widening the window of harvesting and increasing the yield. The Iowa team did this using a bistable element that they created by adding magnets to their piezoelectric cantilever setup. This unit effectively amplifies the mechanical motion, with two stable states separated by an unstable one. Shown below, it consists of a magnet at the end of the cantilever and a magnet directly in line with the undeflected cantilever. The idea is that the vibrations get the cantilever swinging, but, as it approaches the midpoint, it’s repelled by the stationary magnet. So it’s happiest in the farthest-deflected positions – either above or below. There’s something of an efficiency issue, however. 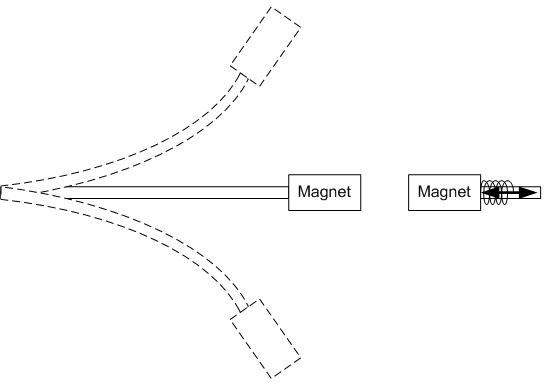 You need the stationary magnet close enough that it’s felt by the cantilever when it’s at its extremes, but when it swings past center, that means that that stationary magnet is close enough to repel the motion too much, contributing too much damping. So they spring-loaded the stationary magnet; now it’s not completely stationary, but it can move only in the horizontal direction. As the cantilever approaches the midpoint, the mutual repulsion pushes the not-quite-stationary magnet back against the spring, giving the cantilever a tad more room to swing. Effectively, the force that used to work against the swinging cantilever is now partly consumed by pushing the stationary magnet back instead of repelling motion. The first step, adding the non-linearity, increased output by about 34 times. Spring-loading the stationary magnet roughly doubled that. This has, of course, been a high-level intuitive description of what’s going on. There’s much more mathematical rigor in their paper (linked below). So there you have it. Two completely different energy harvesting applications using magnets in completely different ways. While the second set of magnets is used in a repulsive configuration, we hope you find these ideas attractive. 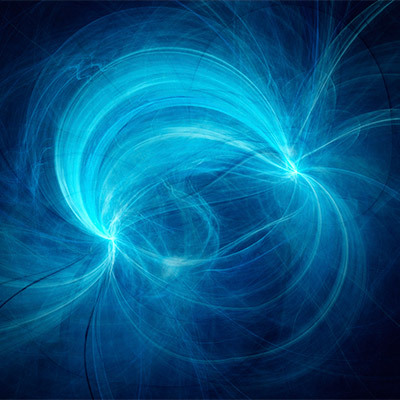 What do you think of these magnetic energy harvesting ideas? Attractive? Repulsive? In the first case with the fan and magnets, anything that increases loading of the fan, will incur losses in the fan motor, in addition to what is coupled off. Now assuming you really need to move the air for cooling something, then the proper engineering attack would be to recover excess energy coupled into the air AFTER the object has been cooled, WITHOUT increasing the back pressure on the source fan significantly. Or at least at a level that recovered energy is more than additional losses at the source fan. Then you are really harvesting wasted energy, instead of creating a high loss energy coupling. The most obvious way this would be abused, would be to increase the source fan energy past what is required for cooling, with higher net losses. So this solution really only works when the source fan is operating at the minimum level required to cool the object effectively, and still be able recover the remaining waste energy after cooling. The efficient means for recovering energy is most likely some flavor of another fan with a PM motor/generator in the exhaust airflow. Or just put your fan in a farm field. When it’s raining.